March 6, 2015 New stuff "Facts & Curiosities" - subject of inspiration and plagiary of three songs. July 2, 2014 New stuff "Books"- book "Remeber Thr Time Protecting Michael Jackson In His Final Days"
May 1, 2014 New stuff "Discography" - "Xscape" album and "Unreleased tracks". May 16, 2013 New stuff "Facts & Curiosities" - "Dance Phenomenon". Date: March 24th, 2019 MJ Estate Says Leaving Neverland's Facts Don't Add Up, But 'No One Has Really Been Interested in Reporting On It'. Date: March 19th, 2019 MJ Estate Statemant. 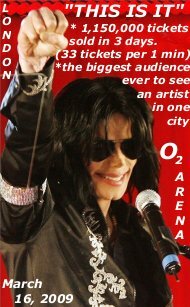 SOURCE: The Official Online Team of The Michael Jackson Estate™. 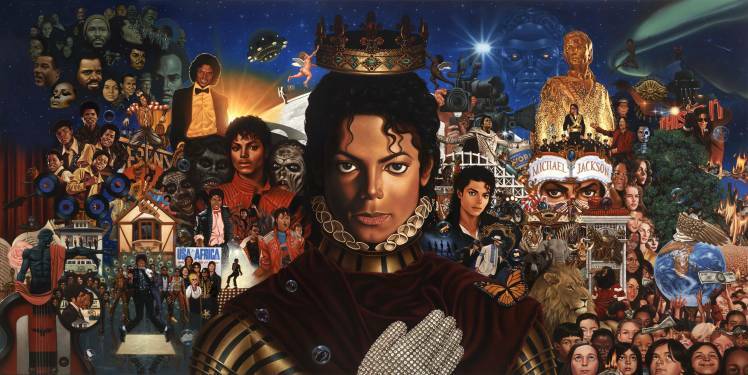 Date: March 14th, 2019 MJ Estate sues HBO for "so called" documentary "Leaving Neverland", and Michael's kids sues Wade Robson and James Safechuck. Following the airing of HBO’s documentary “Leaving Neverland,” Michael Jackson’s children, Prince, Paris and Blanket allegedly plan on suing Wade Robson and James Safechuck. Page Six reports that a source close to the family states that the lawsuit would be on the grounds of fraud, emotional distress, slander and misrepresentation. As we reported, Robson and Safechuck have been the center of the documentary alleging in graphic detail that they were apparently sexually abused by the late star. In addition, Page Six reports that Prince, Paris and Blanket are not looking for money, but that any money they are given would be donated to charity. They simply want an apology from the two men and for them to admit that their father did nothing wrong. Jackson’s estate is already suing HBO for damages that may exceed $100 million for airing the defamatory film following its release at Sundance. The case will took place in The Arbitration Court in California, Los Angeles on date June 26th, 2019. But Estate filed request for earlier date to proceed. Date: January 10th, 2019 MJ Estate statement about "so called" documentary "Leaving Neverland"
Estate is criticizing a new documentary preparing to make its world premiere at the Sundance Film Festival at the end of the month. About Leaving Neverland you can read, "At the height of his stardom Michael Jackson began long-running relationships with two boys, aged 7 and 10, and their families. Now in their 30s, they tell the story of how they were sexually abused by Jackson, and how they came to terms with it years later." Estate denounced the claims against the prolific singer and the documentary as a whole. 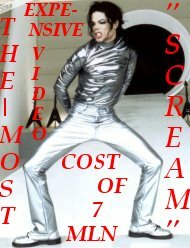 "This is yet another lurid production in an outrageous and pathetic attempt to exploit and cash in on Michael Jackson. 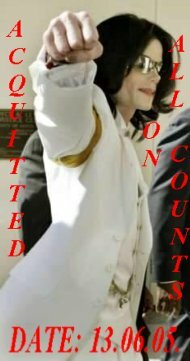 Wade Robson and James Safechuck have both testified under oath that Michael never did anything inappropriate toward them. Safechuck and Robson, the latter a self-proclaimed 'master of deception', filed lawsuits against Michael's Estate, asking for millions of dollars. Both lawsuits were dismissed." It’s unclear which of Jackson’s accusers are the focus of Leaving Neverland. As the Wrap notes, the two brothers who accused Jackson of molestation in the singer’s 2005 criminal trial are now only in their 20s. Choreographer Wade Robson, now 36, filed a sexual abuse lawsuit against Jackson in 2013, claiming Jackson molested him when he was seven years old. That lawsuit was dismissed in December 2017. In 2010, several songs were released that were said to be recorded by the late Michael Jackson. 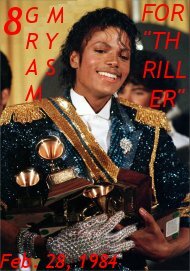 Four years later, one fan questioned the music’s validity, leading many to believe the music was fraudulent. Now, nearly three years after the scandal, Sony Music Entertainment has admitted to releasing and selling fake tunes by the late legend. The fake songs reportedly appeared on the 2010 posthumous album Michael. The songs in question include: “Monster,” “Keep Your Head Up,” and “Breaking News.” In court documents obtained by Karen Civil, Vera Servoa – the fan who kickstarted the investigation into the fake MJ songs – filed a civil suit, accusing Jackson’s longtime friends Eddie Cascio, James Victor Porte, and his production company, Angelikson Productions LLC of creating and selling music through Sony and the Jackson estate. Cascio and Porte initially claimed that the songs were recorded in Cascio’s basement in 2007. Serova and the Jackson family, contested those claims however. While the singles sounded similar to MJ’s sound, they said Michael never recorded them. Serova testified in the Los Angeles Superior Court that they were recorded by an impersonator named Jason Malachi. Consequently, Sony Music Entertainment conceded in court, that it had released fake singles. It’s unclear if fans or Jackson’s estate will be awarded for the criminal behavior or whether there will be an monetary punishment for Sony. People from MJWorld.net have had an uniqe chance to coantact with MJ Estate and they did chat with co-executor of MJ Estate John Branca. The subjects they were speaking about are: "Scream" album,"Thriller 3D", "Blood On The Dance Floor" 2017, unreleased songs, Ghosts, concert releases, Neverland. 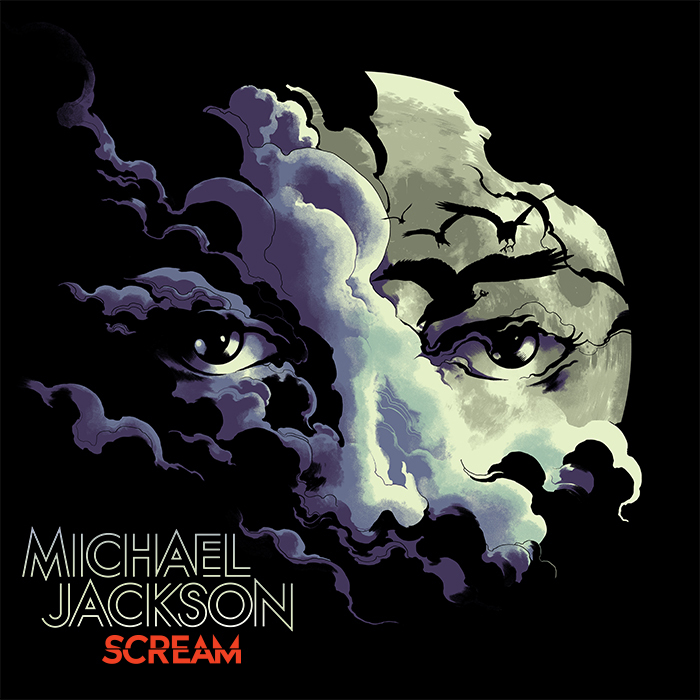 "Scream" album is a step to expand Michael's fan base, its aimed to attracting a new audience, audience who may not be too familiar with Michael Jackson and get them excited about his work. "Thriller 3D" is a project to see Michael's classic masterpiece brought even more to life using modern technology and on a big screen, the fact is that it has been brilliant remastered. You are now able to see it like you would see it for the first time, you are able to really watch the dancers and see tiny details that you had never seen before. The plan is to release "Thriller 3D" at IMAX's around the world as a special preview you go and watch a big Halloween themed movie. Estate is planning to release it in next year's Halloween. "Blood On The Dance Floor" 2017 a new version of original music video. It's the same video we've seen in the 1997 but also included new dancing stuffs with the fantastic talents of the Cirque Du Soleil cast. It had to be released this week but in light of incident in Las Vegas they decided to postpone the release out of respect. "Ghosts" it's a news that will delight every fan... Estate are hoping to remester and release "Ghosts" in 3D next year too. As in case of "Scream" project's aimed to introduce Michael to a new audice, however this project hasn't been started yet and they don't know yet what exactly it will be like and when it will be released. "Unreleased songs" Mr. Branca explained that he doesn't belive there's enough high quality recorded music for a whole new album. We all know that Michael recorded a lot over his lifetime, but music thats's been completed and reaches the same quality as previous releases, are few and far between. Even music recorded with will.i.am.didn't include vocals. However, a recording of Sly and the Family Stone's song "Hot Fun In The Summertime" (which Michael bought the rights to) does exist. Michael has recorded multiple harmonies for the chorus of this song, but not any of the verses. So, they may look into getting a popular singer to make this a duet at some point in the future. The Estate is aware that some fans find it difficult to accept new music so that's why they are careful with what they want to give us and what we are expecting to be given by. "Tours" Michael's HIStory tour (1996-1997) is the only tour filmed that is suitable for HD, Dolby Surround, multi camera angles etc... Branca foresees that the tour could possibly be released when they come to commemorate that album or during an anniversary. It would be most probably to go straight to DVD/Netflix. Neverlnad, Estate would love to open it for the public but Zoning laws in California would not allow the amount of traffic along the single long road that leads up to the gates of the ranch. In spite of this Mr. Branca said they are looking into the possibility of opening up Hayvenhurst, where Michael spent many years living and recorded the demos for "Billie Jean" and others for the "Thriller" album. Date: September 13th, 2017 Sony's "new" album of King Of Pop. As much as its electryify teaser: Scream Teaser. If we talking about "new" $ony doesn't mean to give us something new but nothing more like hoary old chestnut. 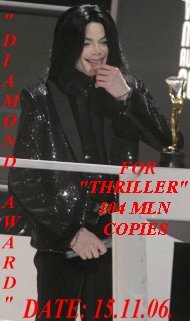 After scandal around "Michael"album it seems to record company doesn't want to risk again Fans' trust and is going with all bog hope we buy another "The Best Of" which contains only one new thing called a remix of few tracks. $ony count on big sale because they are ging us new stuff ,however do Fans are really confident that they really want to have another "The Best Of" what they know very well? In our opinion better bussiness $ony would made if they gave us the last Michael in his last unfinished but in last steps to be released album. As we know before Michael died, that he was in final level to gave us something new, he wants to release it about his series of shows of This is it, but does $ony do that one day?